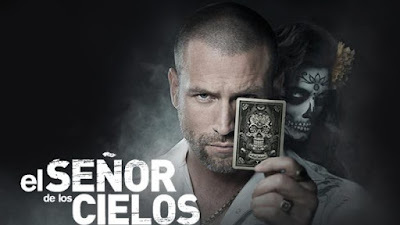 Check out teasers of what will be airing on Not Without My Family this December. Kartik informs Naitik that he wants to leave the company and start his own business. Meanwhile; Naira decides to confront Kartik after seeing a heartbroken Gayu. Later, Kartik gets hurt in an accident making Naira panic. Akshara and Naitik hesitate to talk to Kartik fearing they might hurt Naira and Gayu. Later, they speak to Naira but will she reveal her feelings? Akshara and Naitik are surprised to see Mishti; but are shocked to learn about Kartik being in love with Naira. The families start prepping for Diwali. Akshara and Naitik meet Kartik and tell him that Gayu is in love with him. Later, they tell the family members that he has accepted the proposal. Has he? What will happen to Naira now? During the puja; Gayu makes a shocking announcement about Naira and Kartik. Later, Rama blames Naira for Gayu’s condition. Akshara, Naitik and Rama appreciate Naira and Gayu's concern for each other. Soon, Naira decorates a room with pictures of all the special moments spent with Kartik and later confesses her love to him. Naitik tells Kartik that he wants to speak to his family regarding the wedding. Kartik lies to the Singhanias about his family. Rajshekhar asks Naira to find out if he is telling the truth. Gayu wants Naira and Kartik to spend time together. Meanwhile, Keerthi arrives to meet Naira and the family. Later, the Singhanias are surprised to learn about Kartik's family. Naira gets angry with Kartik. The next day, Akshara asks Kartik to invite his parents to her birthday party. Later, Kartik's uncle suggests that Naitik and Akshara meet Kartik's father. Bua Dadi asks Naitik to invite Kartik's family on Akshara's birthday and discuss about the marriage. Meanwhile, Naira kisses Kartik to cheer him up! The family wishes Akshara on her birthday. Later, the Singhanias and the Maheshwaris lay the foundation stone of Naira's dance academy. However, their happiness is short-lived as Akshara's car meets with an accident! The Singhanias and Maheshwaris are relieved to see Akshara safe and celebrate her birthday. Akshara recalls the time when Naira had given a special performance with the entire family and gets emotional. The Singhanias and Maheshwaris have a good time even as Akshara seems to be lost in her own thoughts. Later, she decides to surprise Naira by gifting her a lehenga. Later, Kartik and Naira get romantic. Naira tells Akshara that Kartik wants to tell her something about his family. Later, Naira confesses her love to Kartik; while Akshara learns about Kartik's mother, Swarna Goenka. Kartik tells Mishti that he will reveal the truth about his family to Naira. Later; he goes to meet Naira after drinking the spiked beverage. A drunk Kartik accidentally hits Akshara with his car. Naira and Naitik find out about Kartik's acident. Will Akshara survive? Rajshekhar tells the family about Akshara's accident. Naitik and Naira search for Akshara. Meanwhile, Akhilesh learns the identity of the victim. Later, the inspector comes with some news about Akshara. Is she alright? Naira tells Akhilesh that they have failed to find Akshara. Meanwhile, Manish refuses to allow Naira to meet Kartik. Later, the Singhanias are asked to leave the place due to landslides. But where is Akshara? The police and special search team fail to find Akshara. Swarna learns that Akshara got hit by Kartik's car. Naira is devastated when the police declare Akshara dead! Swarna and Akhilesh request the police to look for Akshara. Naithik is traumatised to find out about Akshara while the family is shocked! Naira finds out that Akshara was hit by Kartik's car. Meanwhile, Kartik escapes from the hospital! Later, Naira feels that Akshara has returned home. Has she? Swarna visits the Singhanias and the Maheshwaris. Naira reveals to Kartik that he has hit Akshara with his car! Will she give him to the cops? Akhilesh insists that Kartik sign his bail papers. Naira refuses to hold Akshara's condolence meet until Naitik recovers. Naira accuses Kartik of killing Akshara and breaks ties with him. Later, the Singhanias and the Maheshwaris organise Akshara's condolence meet. Naira informs Manish that she had met Kartik before he surrendered to the police. Kartik tells his family that he can give all of himself to see Naira and her family happy. Later, Naira tries to lift the spirits of her family. The Singhanias are sad when they receive gifts from Naira in Akshara's name. The police give Akshara's watch to Naira. Later, Rajshri asks Naira to start afresh and pursue her dream. After listening to a recorded call, Naira suspects something. Meanwhile, the inspector asks Kartik to sign the confession letter. Will he do it? Naira seeks Swarna's help to find out the truth behind the accident. Later, a mechanic informs something important to Naira. Will Naira be able to find the truth? While the police declare Kartik to be innocent, Naira feels guilty for not trusting him. Later, she gets a call from a stranger regarding Akshara's murderer. Manish assures Dadi that he will get Kartik released from jail. A stranger informs Naira and Gayatri that he has witnessed the accident. He also tells them about a man, named Kashyap. Who is he? Naira assaults Kashyap and brings him to the cops. Later, she apologises to Kartik for not believing him. Kartik thanks Naira for proving his innocence. Later, he visits the house on learning about Dadi's poor health and makes a promise to her. Naira asks her family to fulfil Akshara's wish and celebrate Mishti's birthday. The Singhanias invite Kartik to Mishti's birthday party. Will he come? The Singhanias and the Maheshwaris are delighted as Kartik visits the house to attend Mishti's birthday. Later, Naitik apologises to Kartik. Gayatri and Kirti's plan go wrong when the real goons hold Kartik and Naira captive. While Naira apologises to Kartik, he doesn't seem to be in the mood. 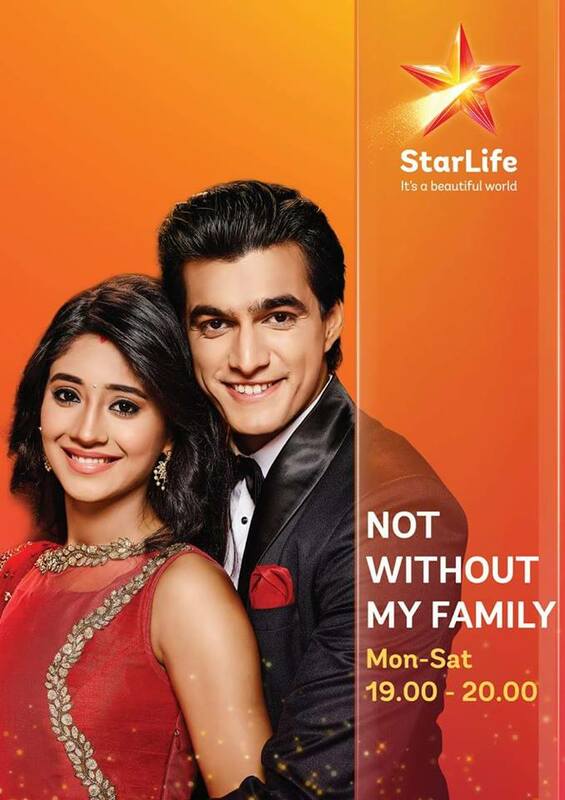 Kartik and Naira return home and are surprised to find his family there. Meanwhile, Dadi thinks of a plan to separate her and Kartik. Akhilesh asks Kartik to accompany him to the Goenka's office. Later, Naitik and Naira are grateful to Kartik for helping them during the time of crisis. Rajshri suggests that Naira help the Goenkas. Later, Kartik confronts Naira for visiting the factory. Dadi asks Swarna to convince Manish for Kartik and Naira's marriage. Kartik thanks Manish for supporting him and the Singhanias. Meanwhile, Naira is upset to find Naitik in distress. Naira gets emotional on seeing the lehenga that Akshara had ordered for her. Meanwhile, Dadi and Swarna visit the Singhanias with Kartik and Naira's marriage proposal. Kartik confronts Manish for visiting the Singhanias with his marriage proposal. Naitik asks Naira to fulfil Akshara's wish of getting her married to Kartik. Kartik and Naira announce to the Singhanias that they have decided to get married. The Singhanias visit the Goenka House with Naira's marriage proposal. Will Manish and Dadi accept it? Dadi asks Swarna to get Naira's horoscope. Kartik and Naira dance and spend some romantic time together. Later, Kartik asks Swarna not to interfere in his life. Swarna informs Naitik about a fault in Naira's horoscope but Kartik dismisses it. Later, the pandit tells Dadi that Naira is the ideal bride for Kartik. Naira and Kartik's parents are apprehensive about the wedding. Kartik overhears Dadi talking about her illness. What will he do now? Kartik tells Naira that Swarna is not his mother. He blames Manish and Swarna for his mother's death. Later, he reveals a secret to Naira. Kartik tells Dadi that he does not want to stay with the Goenkas. Meanwhile, Swarna requests Naira to stop Kartik from leaving. Swarna visits Naira with some special gifts. Naksh is unhappy with his father's decisions. Celebrations begin at Naira's home. Naira apologises to Kartik and worries about mending his relation with the Goenkas. Meanwhile, the Singhanias visit the Goenkas for the Tilak ceremony. The Singhanias conduct Kartik's tilak ceremony. Meanwhile, Kush gets locked in a cupboard. Will it be too late before anyone realises he is missing? Kartik talks to Naira about relocating to a new house after their wedding. Meanwhile, Dadi informs the Singhanias that they are planning to change Naira's name! Naksh stops Dadi from changing Naira's name. Later, the Goenkas are shocked to see Kartik and Naira's engagement invitation card. Why?